View basket “Baby Boots in Giraffe Print faux Fur ideal Baby Shower Gift” has been added to your basket. 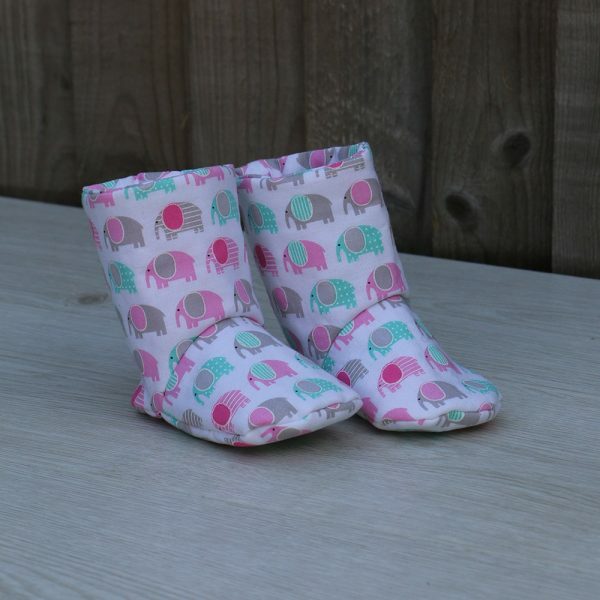 These cute baby boots has been handmade from white cotton with pink, blue & grey elephants pattern with matching lining, a layer of fleece has been added between fabrics layers to give the booties added structure. Size of booties are ideal age 6-9 months approx.